I dropped my dear daughter off at Washington State University to begin her adventures as a college student. Yes, that was just as hard as it sounds. While there, she told me that I could have one photo and that it would be in front of the book statue by the library. (She’s kind of bossy like that!). 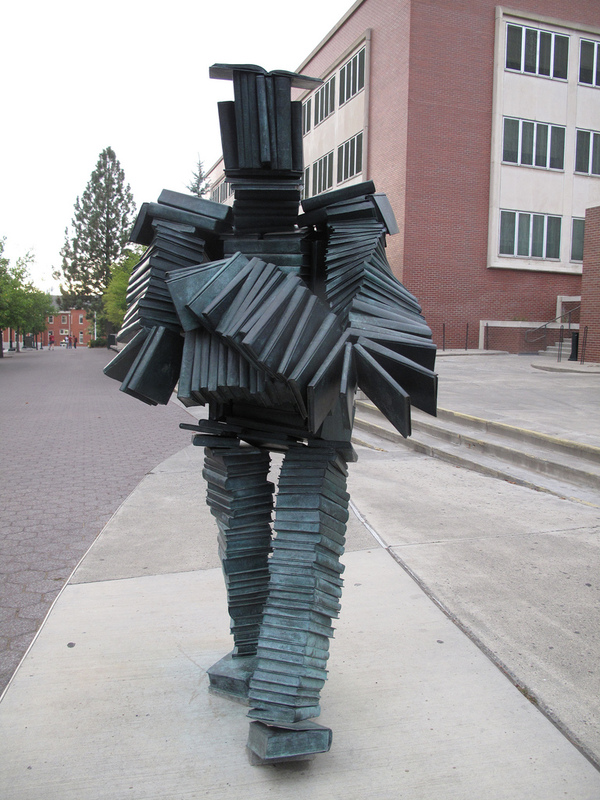 Bookin’ by artist Terry Allen was installed on the Terrell Mall in 2006. 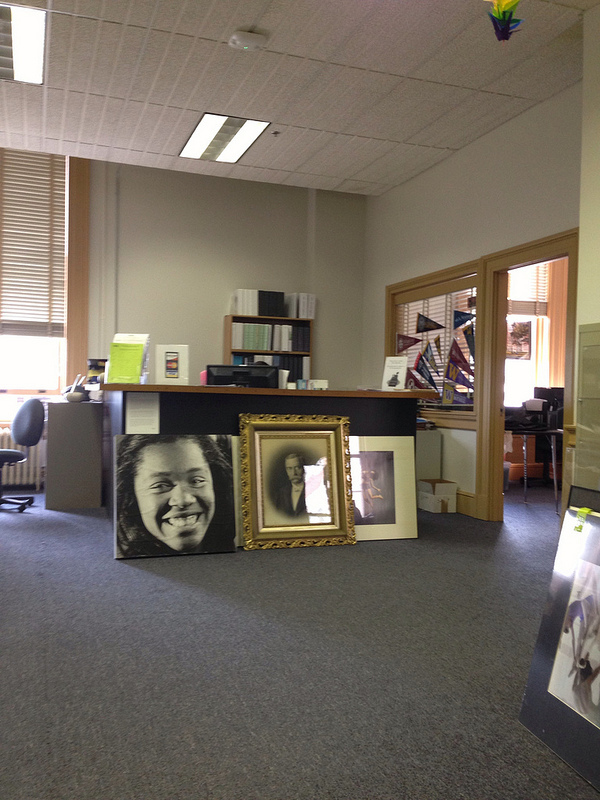 Terry Allen’s website can be found here. 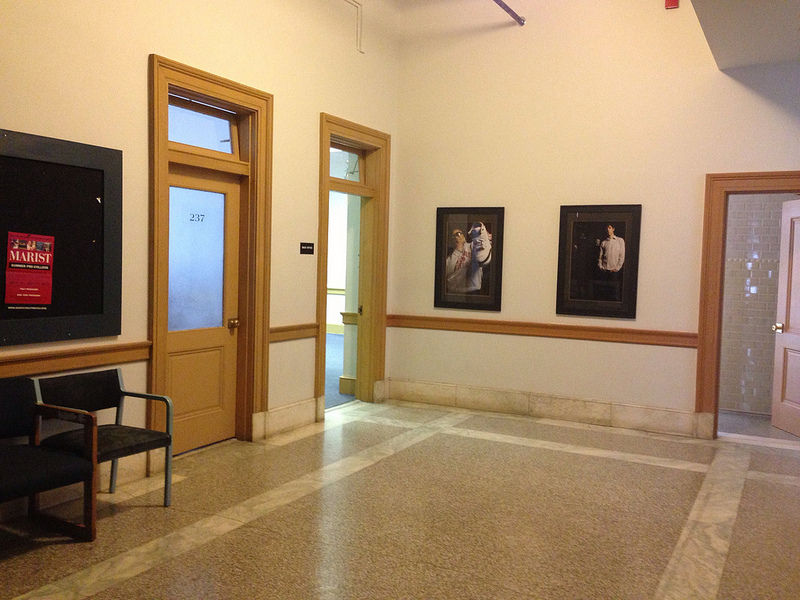 This entry was posted in Art -- there is art here!, Pullman, Schools, WA State - Whitman County and tagged Bookin', college, library, Terrell Mall, Terry Allen, Washington State University, WSU on August 11, 2013 by admin. 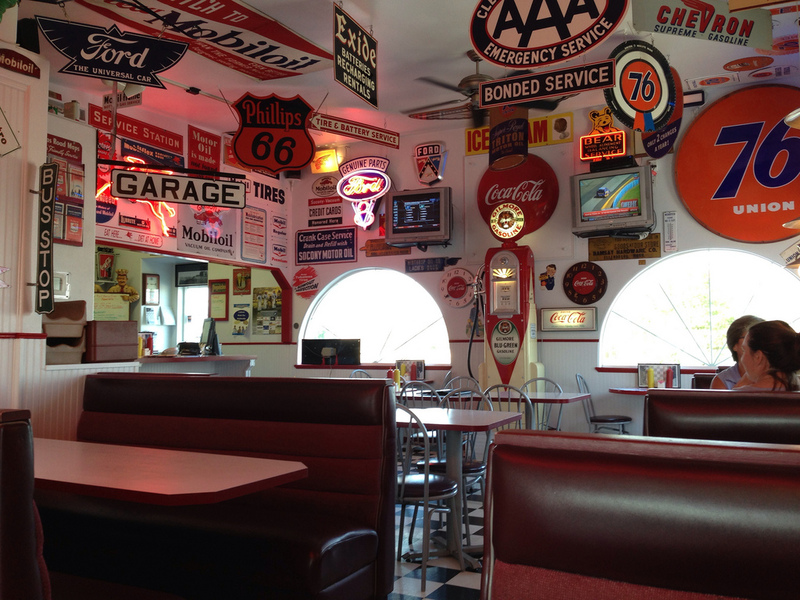 We stopped at the Red Horse Diner because of it is a 50s style diner, but we loved it for its food! Dear daughter and I stopped for a meal here on the way to dropping her off at college and I stopped on my way back alone. It had been a service station and maintains the original pumps, as well as a bunch of fun 50s signs and paraphernalia. 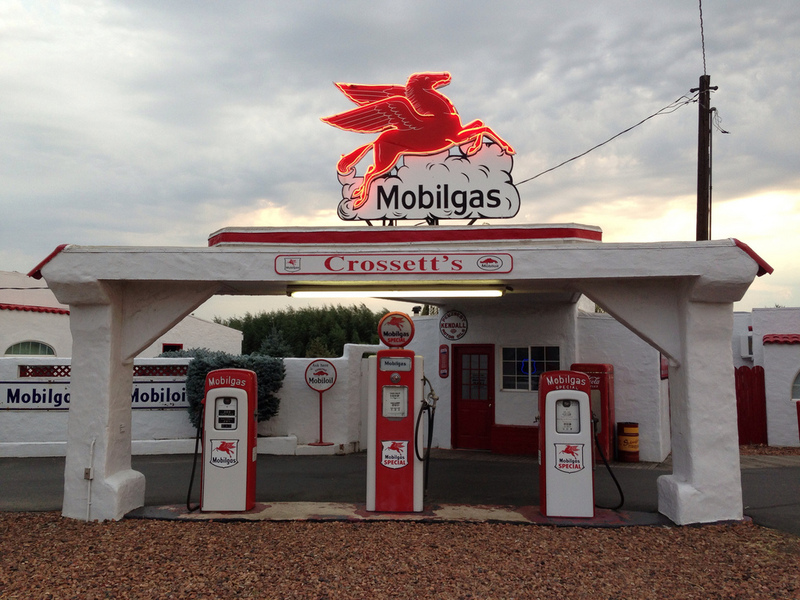 The Pegasus, the red horse, has been the symbol of Mobil Oil since the 1930s. The website for the diner is here. 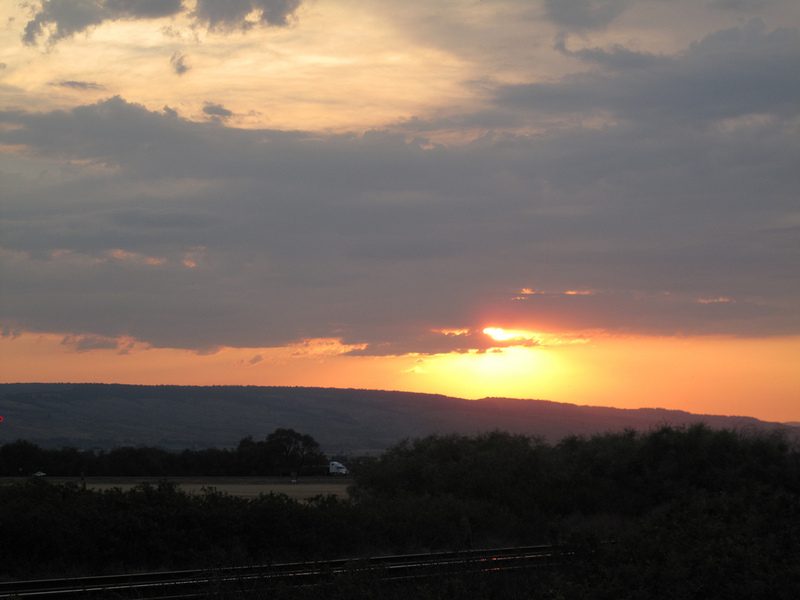 The evening view was lovely from their parking lot! 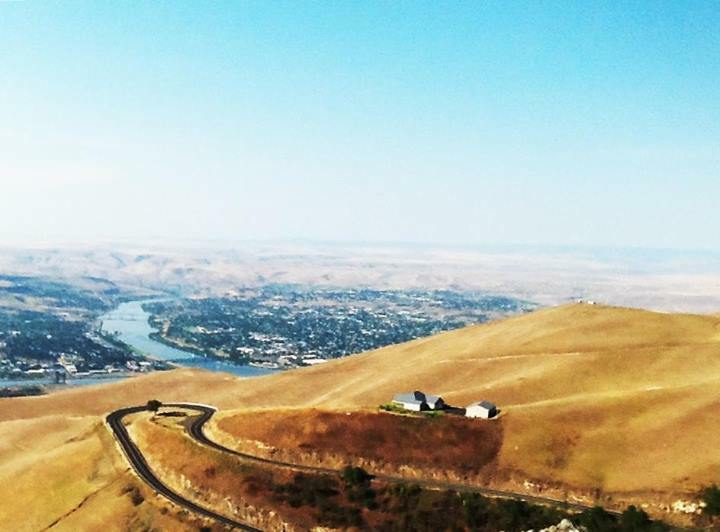 This entry was posted in Coffee Shops, cafes and bistros, Ellensburg, Restaurants, Sit Down Establishments, Take Out, WA State - Kittitas County and tagged Americana, Ellensburg, gas station, hamberger, pumps, Red, Red Horse Diner, restaurant, WA, white on August 9, 2013 by admin. I picked my dear daughter up at the airport and she was hungry for lunch. 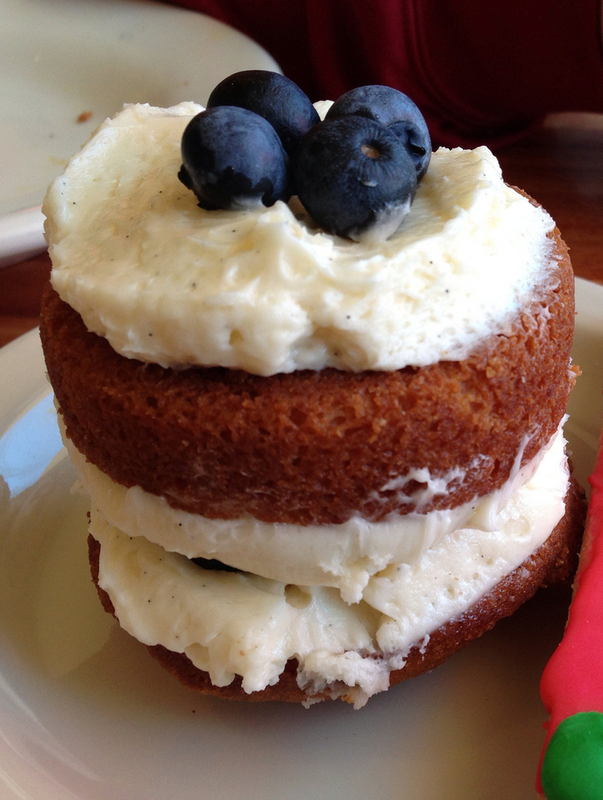 So we swung by Grand Central Bakery at 626 SW 152nd St., Burien, WA 98166. I had the BLT and dear daughter had a grill cheese and both were delicious. In particular the bread for our sandwiches was a treat. The artisan bakery is part of a small chain located in Seattle and Portland. 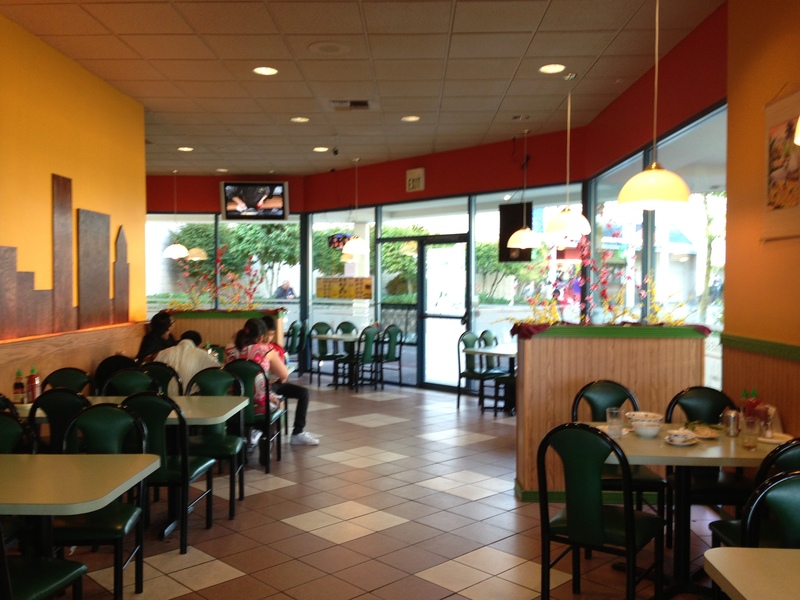 The restaurant space is simple and full of light. The staff was welcoming and patient while we came to our lunch order decision. Grand Central’s website is here. 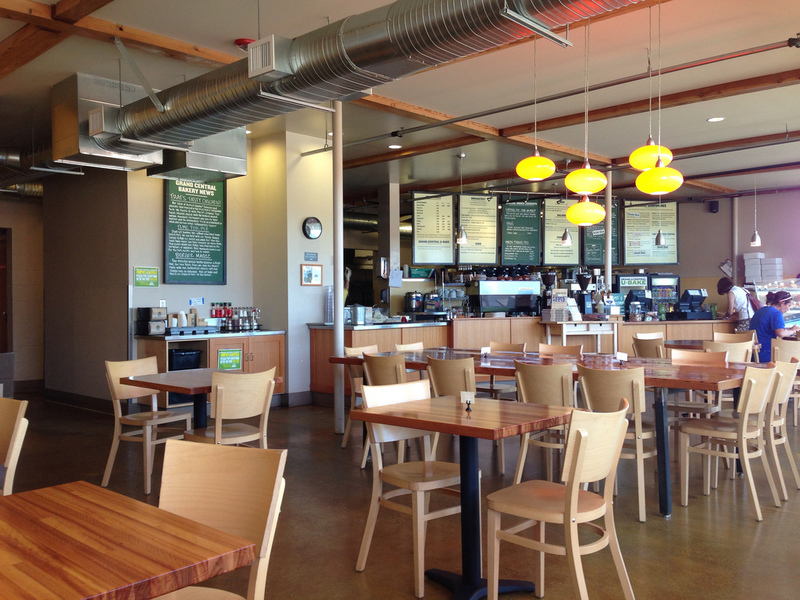 This entry was posted in Burien, Coffee Shops, cafes and bistros, Restaurants, WA State - King County and tagged blt, bread, Burien, chain, Grand Central Bakery, lunch on August 8, 2013 by admin. Treos Coffee at 2312 N 30th St.,Tacoma, WA 98403 is where a Forza use to be. The decor is really lovely. and the backdrop of the bar is very nice. And my husband said the drip coffee was so good that he asked for a refill (free!). He never does that. This entry was posted in Coffee Shops, cafes and bistros, Restaurants, Tacoma, WA State - Pierce County and tagged bar, coffee, Old Town, Treos on August 7, 2013 by admin. Round Table Pizza at 7921 S. Hosmer St A1, Tacoma, WA ‎was our lunch stop. They have a lunch buffet which is really pretty good, though dear husband and I are not huge eaters so perhaps it is wasted on us. 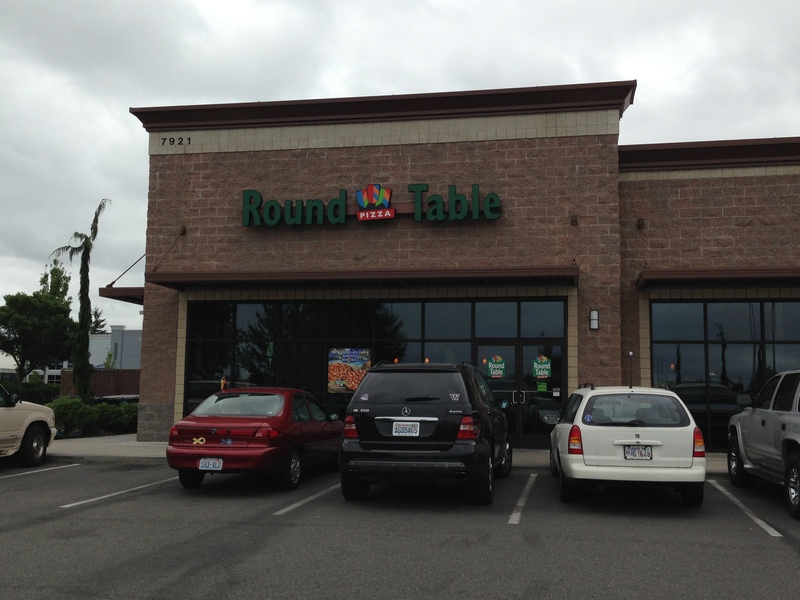 Round Table is 100% employee owned. 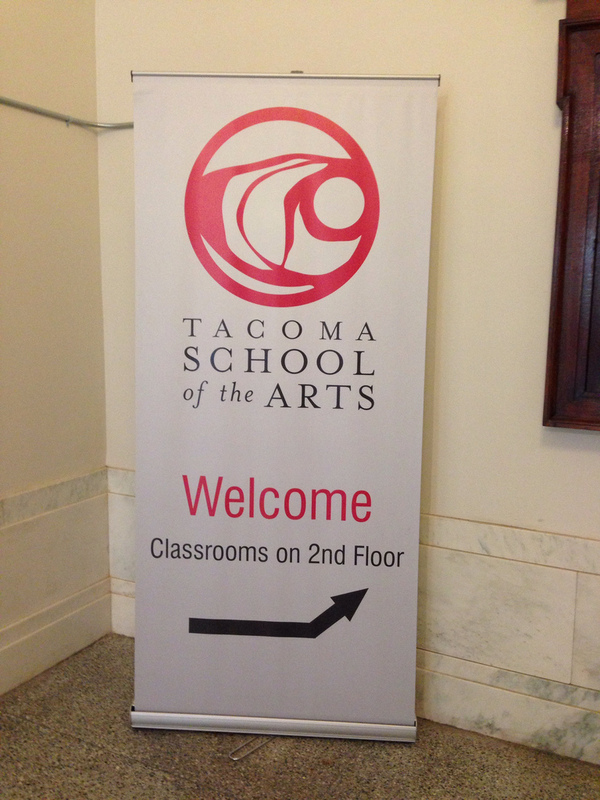 This entry was posted in Uncategorized and tagged pizza, Round Table, Tacoma on August 7, 2013 by admin. 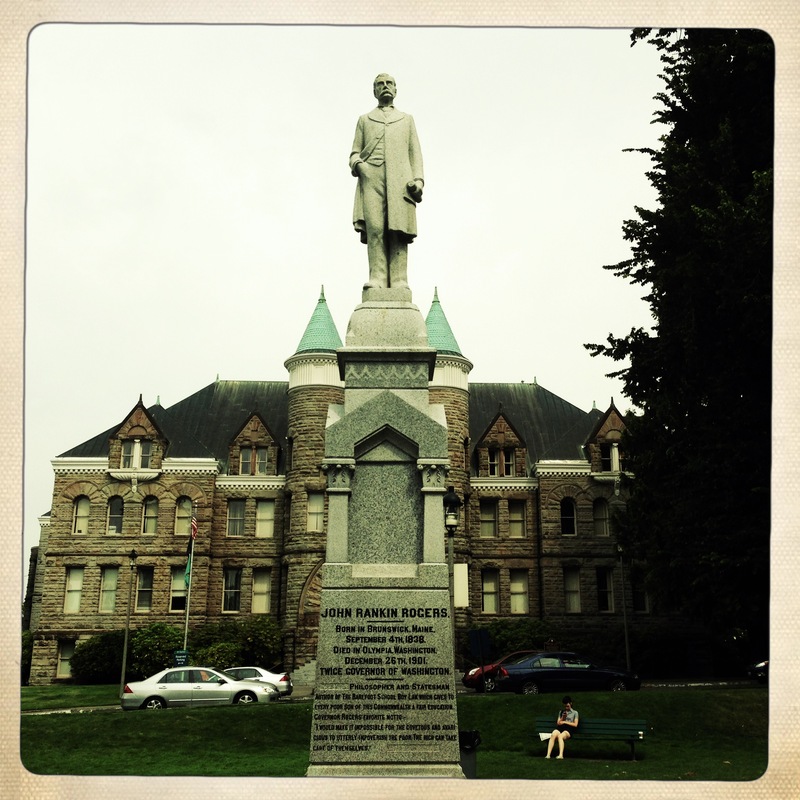 This entry was posted in Art -- there is art here!, Olympia, Parks, WA State - Thurston County and tagged Act, Barefoot Schoolboy, governor, John Rankin Rogers, Olympia, statue, Sylvester Park on August 6, 2013 by admin. A stop at the downtown Tacoma Farmer’s Market lead to a chat with this representative of ufppc. I admire people that work for their beliefs. 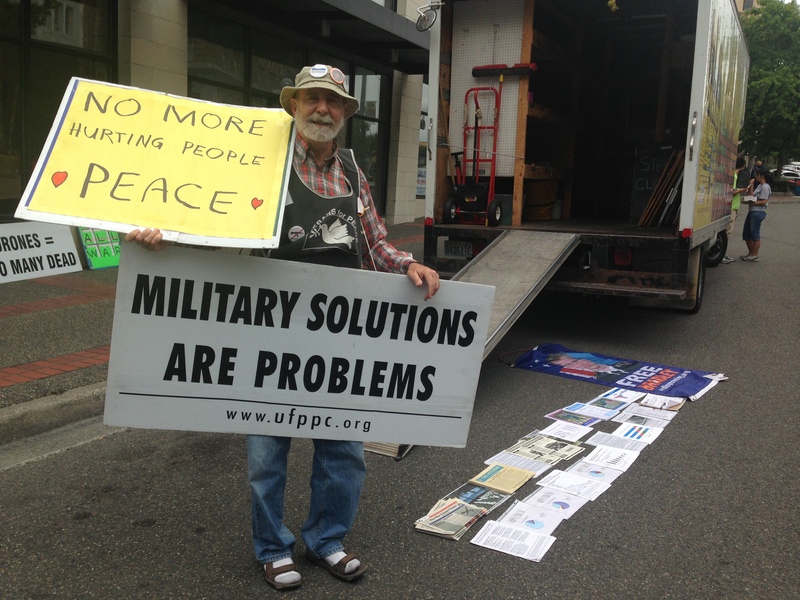 This entry was posted in Once in a while events, Tacoma, WA State - Pierce County and tagged farmer's market, peace, Tacoma on August 6, 2013 by admin. Dear husband and I ventured up to Federal Way for a movie and grabbed a quick dinner at Pho Hoang Restaurant, 31871 Gateway Center Blvd S, Federal Way, WA. Because of time restraints, I went with the two fresh spring rolls and they were very good. 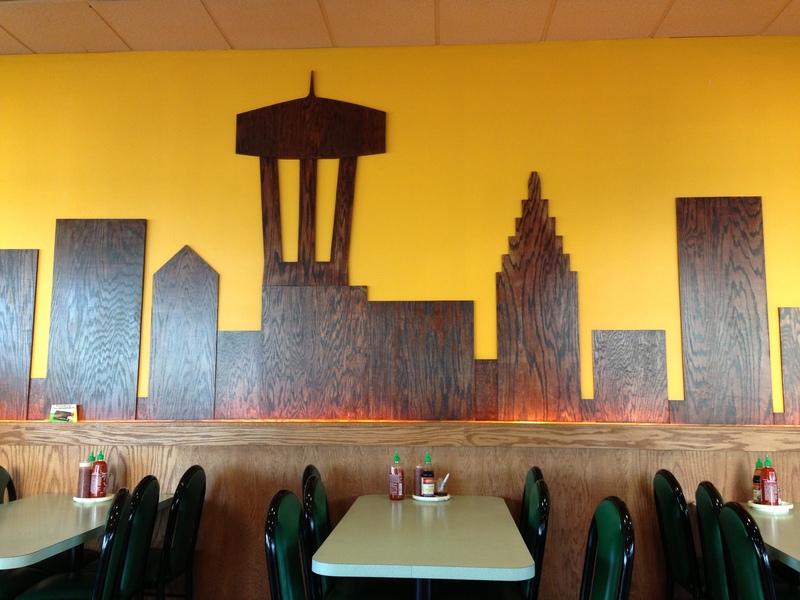 The highlight of the restaurant is this wonderful wooden Seattle skyline. 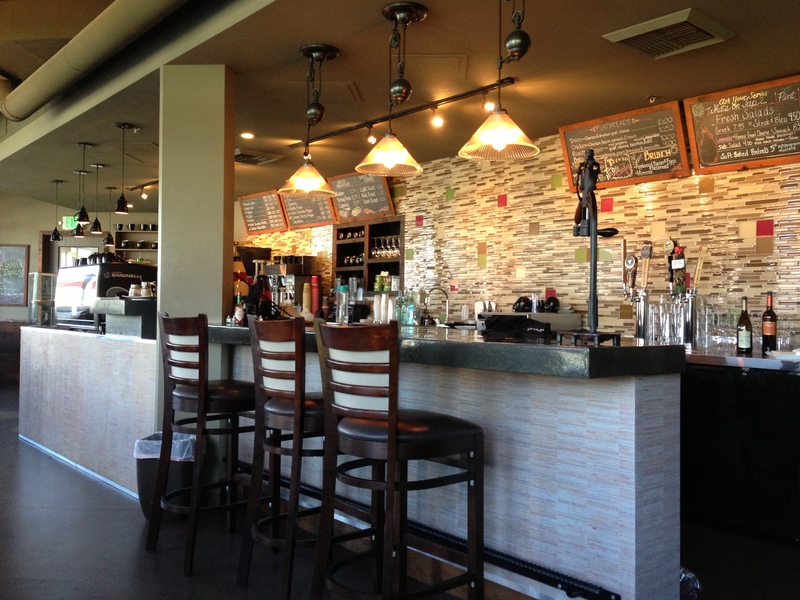 This entry was posted in Coffee Shops, cafes and bistros, Federal Way, Restaurants, WA State - King County and tagged Federal Way, pho, Pho Hoang Restaurant, Seattle, skyline on August 6, 2013 by admin.